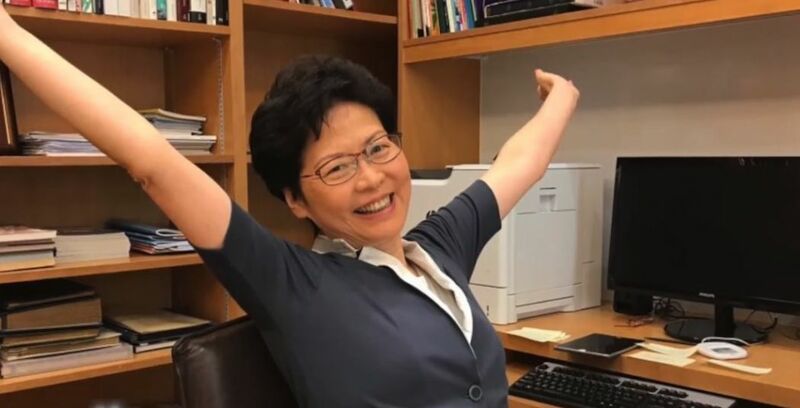 If you were sitting in the vast office occupied by the Chef Executive Carrie Lam you would be more than happy over the expulsion from Hong Kong of Victor Mallet, a senior Financial Times staffer and Vice President of the Foreign Correspondents’ Club, and you would be savouring the subsequent fallout. 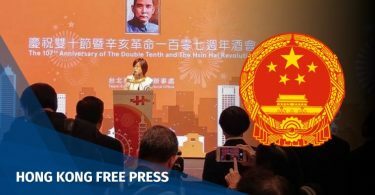 Ahead of her 2018 policy address, Carrie Lam declared “mission accomplished” at the end of a promotional video. Photo: Carrie Lam, via Facebook. 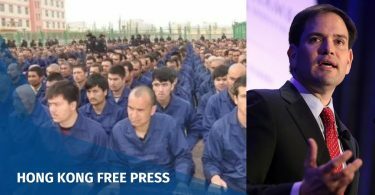 First, and most importantly, it has reminded Mrs Lam’s bosses in Beijing that she is not just prepared to be vocal in stamping out dissent on matters close to the Chinese government’s heart but is willing to go so far as to put Hong Kong’s future as an international centre at risk in so doing. Secondly, it never does any harm to stoke the fires of paranoia aimed at foreigners. Here was a golden opportunity to link the first-ever ban on a political party in the SAR with what can be presented as a dastardly plot by shadowy foreign forces (in the rather unlikely form of the Foreign Correspondents’ Club) dedicated to causing unrest and disquiet in Hong Kong and the Motherland. Does it matter to Mrs Lam that foreign governments have been lining up to criticize the expulsion of Mr Mallet? 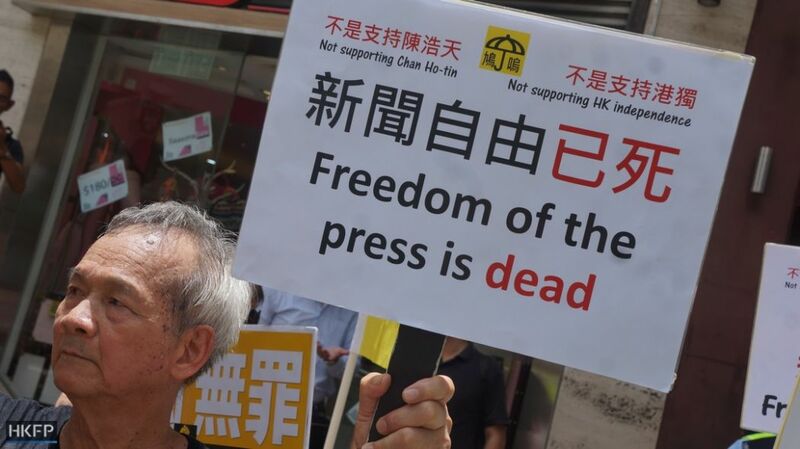 No, it does not because this criticism, focusing on the threat her government’s action posses to press freedom, is precisely the kind of criticism received and ignored in Beijing. It can positively be seen as an honour to have produced an echo in Hong Kong. Thirdly, there is the matter of internal politics. Mrs Lam is worried about by outflanked in terms of rabid patriotism by her predecessor Leung Chun-ying. He, after all, got the attack dogs barking over the very right of the FCC to occupy government-owned premises after providing a platform for Andy Chan of the now banned Hong Kong National Party. In the game of Chinese patriotic politics those who beat their breasts most fervently win. 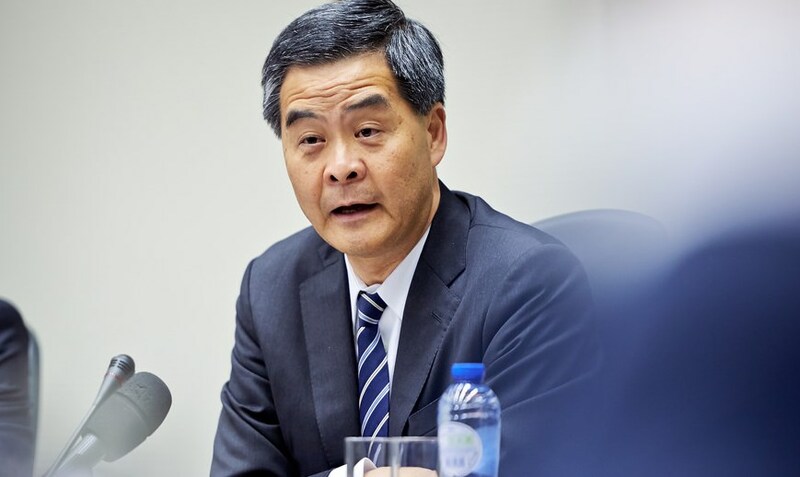 Leung Chun-ying. File photo: European Business Summit, via Flickr. Mrs Lam does not enjoy widespread popularity in Hong Kong but – in a system that pays little attention to the public will – what matters is the support she can glean from the small group of men in Beijing who decide everything of importance. Although Mrs Lam’s report card is pretty clean as far as Beijing is concerned, she is worried about the black marks she gets for not having enacted some form of draconian anti-subversion legislation in the shape of a bill to implement Article 23 of the Basic Law. Her tactic has been to demonstrate that – even without introducing this legislation, which threatens to bring hundreds of thousands of protestors out on the streets – she is perfectly capable of launching a crackdown using tools that are already to hand. Mr Mallet is no more than collateral damage in this respect. The extent of Mrs Lam’s nervousness over her position can be seen in a recent outbreak of articles penned by her pet columnists who have been airing the possibility of CY Leung’s return to office. This is not, of course, on the cards but it serves as a way of saying that people better support the beleaguered Carrie otherwise they will get the infinitely more unpopular CY back in command. So, the Chief Executive is on a mission. Naïve people seem to think that the mission’s main objective is to cow criticism but, even though Mrs Lam, the born-again authoritarian, would like to see this happen, she is realistic enough to know that Hong Kong people love their freedoms too much to have them taken away without a fight. And that’s when things start to become less predictable and it’s just possible that Mrs Lam knows that. For the meantime, Mrs Lam’s main interest lies in maintaining her position and cultivating enough support from her bosses to ensure that not only does she remain in office but that thereafter she is given some kind of prominent national role. This is why it is wrongheaded to imagine that decisions, such as that concerning Mr Mallet, were somehow imposed from up North, far more worrying is the likelihood that the initiative came from within the Hong Kong SAR government where an eagerness to please is the hallmark of the motley crew of people who are supposed to be leading this administration. Where does all this all leave Hong Kong? That’s the sort of question not being asked in the upper echelons of government because they seem no longer to care whether or not they kick away the pillars that have made this place so successful.